This book addresses numerous issues related to ethnomathematics and diverse approaches to it in the context of mathematics education. To help readers better understand the development of ethnomathematics, it discusses its objectives and assumptions with regard to promoting an ethics of respect, solidarity, and cooperation across and for all cultures. 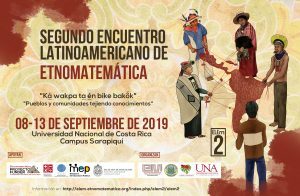 In turn, the book addresses a range of aspects including pedagogical action, culturally relevant pedagogy, innovative approaches to ethnomathematics, and the role of ethnomathematics in mathematics education. Ethnomathematics offers educators a valuable framework for transforming mathematics so that it can more actively contribute to realizing the dream of a just and humane society. As such, its primary goal is to forge mathematics into a powerful tool to help people create a society characterized by dignity for all, and in which iniquity, arrogance, violence, and bigotry have no place.